Green Roof Service LLC / Green Roof Technology is the leader in integrating and introducing high quality LIVING GREEN in architectural design with State-of-the-Art engineering, installation and maintenance solutions. Combined with modern technology, living green adds unmachted benefits to the building or property owner and evironment throughout the world. 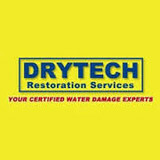 FDP Mold Remediation is a leading mold remediation/inspection service provider in Towson MD and nearby areas. We provide effective and prompt mold treatment services at affordable prices. Great result and satisfaction guaranteed. Give us a call right now to get more information or schedule an appointment. Mike Zimmerman is the owner of the City Brick Restorations. Mike is from Berks County and came to Lancaster city in 1985. He has been a general contractor since 1992. 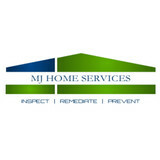 Doing Residential remodeling for more than 10 years here in the city. Then in 2005 he started doing small brick restoration projects on many of his own properties and from there it grew into City Brick Restorations. Mike is located in the southern part of the city where he has been since 1985. 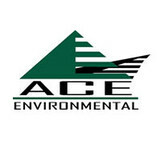 Manufacturer of the Ice Eater, Fountains and Aerators. (we are the home of the original “Ice Eater”), The Powerhouse Inc. offers the most reliable, energy efficient and cost-saving products on the market. Our products aid in improving water quality to sustain aquatic life, de-icing waterways to protect your dock, boat or shoreline, or just flat out beautifying your pond or lake. Find environmental services and restoration professionals on Houzz. 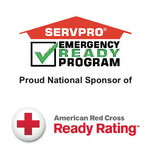 Narrow your search in the Professionals section to Chatham, PA residential environmental testing and home disaster restoration services to find a list of qualified professionals. Read through professional profiles for information on qualifications, experience and services provided.